Many people wish they could contribute in someway to improve the environment, to help animals or to save trees. Lots of these people can not contribute time and energy so they prefer to support monetarily. 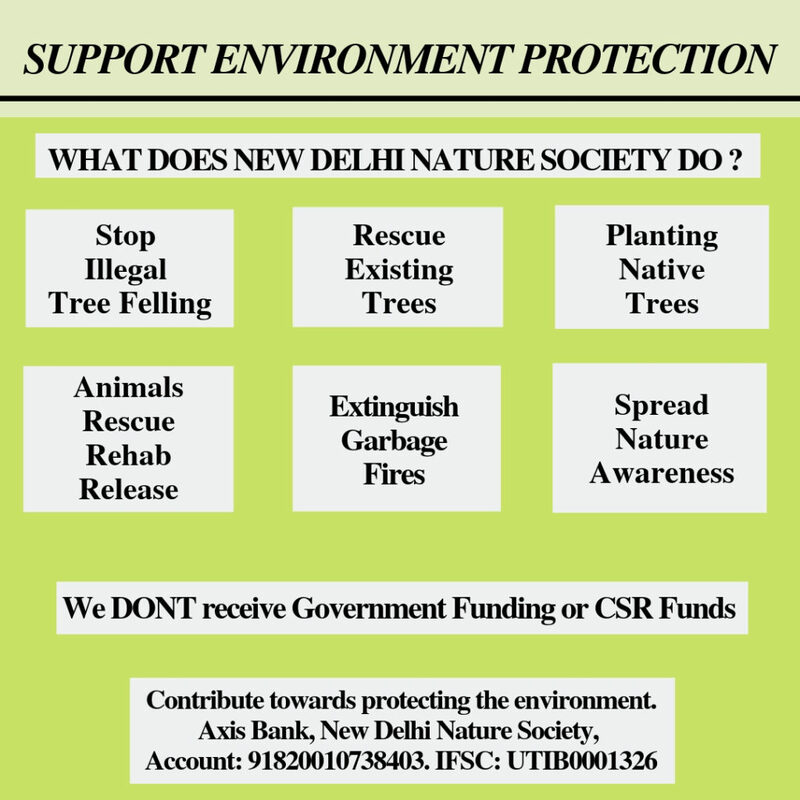 If you are an enthusiastic philanthropist or can comfortably afford to contribute a little money, please use the bank details above, or send a cheque payable to “New Delhi Nature Society” mailed to New Delhi Nature Society c/o Mr Verhaen Khanna, C-642 New Friends Colony, New Delhi 110025 or simply Paytm to 9711115666.